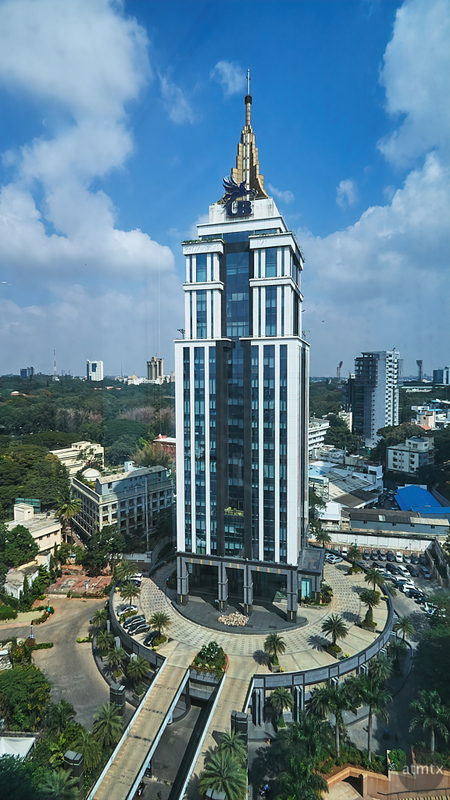 UB Tower is one of four towers in UB City, an upscale development in Bangalore. At 420 feet, it’s the fifth tallest tower in Bangalore but technically does not quality as a skyscraper, which needs to be taller than 492 feet (150 meters). UB City also contains an upscale mall, the first in Bangalore. The tower echoes design queues from the Empire State Building in New York City, but being significantly smaller, it seems almost toy-like to me. It might even be shorter than the faux-Empire State building in Las Vegas’ New York New York casino. However, compared to most parts of Bangalore, UB City and the surrounding area is decidedly upscale. If you stay at the JW Marriott, which is the part of the complex, and confine yourself to the offices and shopping malls in UB City, you would get a first-world experience. What a shame though, if you did. Part of the attraction of travel is to see other cultures and UB City, while certainly a part of India, is not very representative.